Guests have many options within a short distance of the Penny Farthing Inn of activities to attend. One or more activity will be available to make your stay more enjoyable. 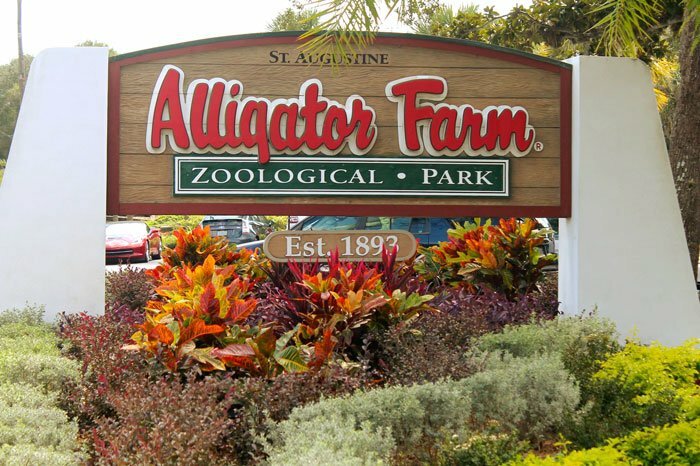 The St. Augustine Alligator Farm and Zoological Park has long been a favorite St. Augustine vacation attraction among visitors to the area. Beginning over 100 years ago in 1893 with several reptiles, the alligator farm has been listed on the National Register of Historic Places since the early 1990's. 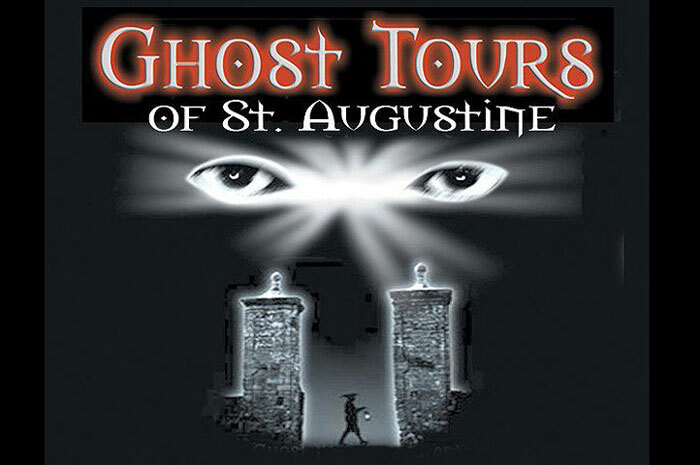 When you stay in our lovely bed and breakfast in St. Augustine, Florida you can visit one of St. Augustine's oldest attractions! Located right near Anastasia Island in St. Augustine, Florida the zoological park has far more than just alligators and other reptiles. The park features a variety of species of birds and mammals as well as the large reptiles that are so popular at the park. Visitors can meet Maximo, a 15ft, 1250lb saltwater crocodile from Australia, and take a glimpse at a few Louisiana albino alligators. Avid bird lovers will enjoy taking a walk through the Wading Bird Rookery and seeing herons, egrets, ibis, spoonbills and wood storks in their natural environments. The Anastasia State Park on Anastasia Island just south of St. Augustine is truly one of Florida's natural treasures. On the island you can enjoy an endless variety of activities on four miles of pristine beach, and even visit an archaeological site where coquina rock was mined to build the fortress Castillo de San Marcos. The main attraction on island is the beach and the activities it offers, from sunbathing to surfing, but the natural beauty of the island and its native wildlife are a big part of why Anastasia is one of Florida's busiest state parks. Camping, swimming, windsurfing, hiking, beachcombing, fishing, canoeing and kayaking, and wildlife viewing are just a few of the popular activities at Anastasia State Park. It is truly a peaceful place to visit. 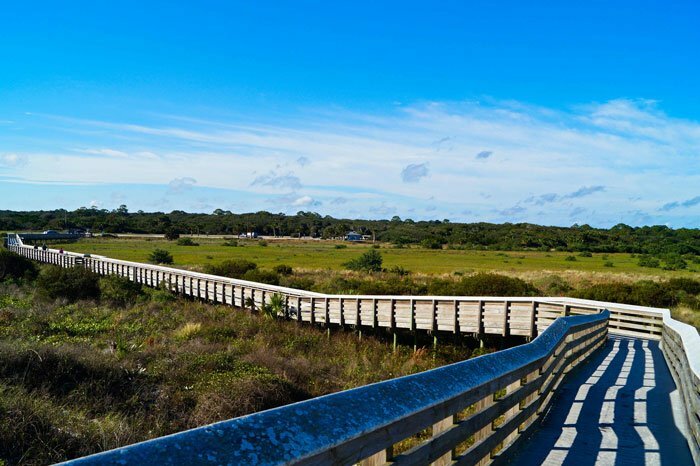 Nature trails wind through the ancient dunes, shaded by the hardwood hammock forest where you'll find a variety of birds and plants. 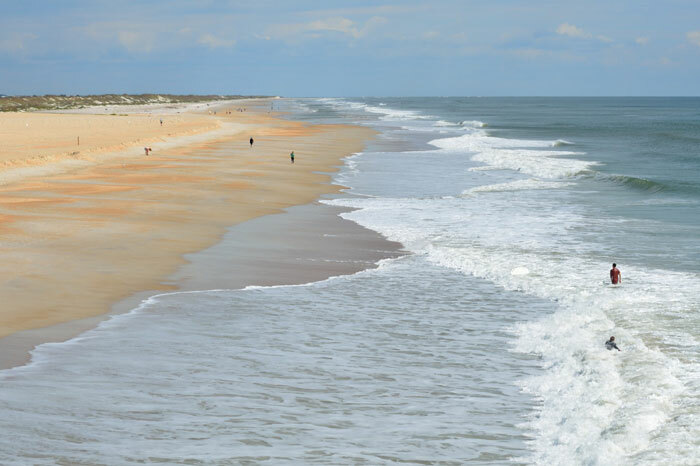 The St. Augustine FL Beach is located in close proximity of historic St. Augustine. Just east of the charming, historic downtown of St. Augustine, the beach is convenient for visitors who want to enjoy both. After a few hours of shopping downtown or at the St. Augustine Outlets, the St. Augustine FL beach will guarantee relaxation. 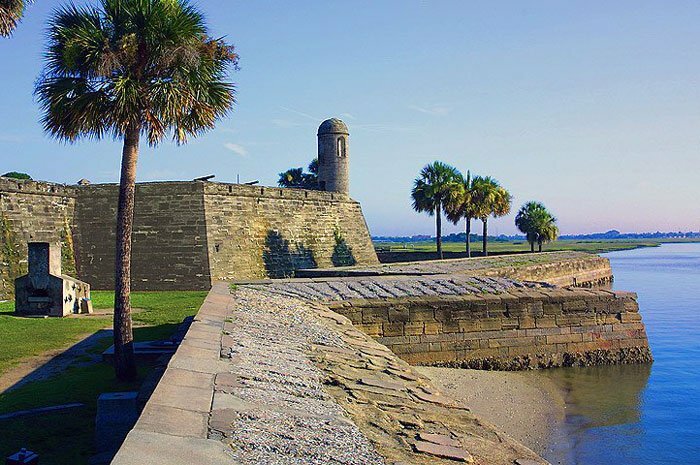 Perhaps one of the most famous aspects of St. Augustine is the Castillo de San Marcos national monument. 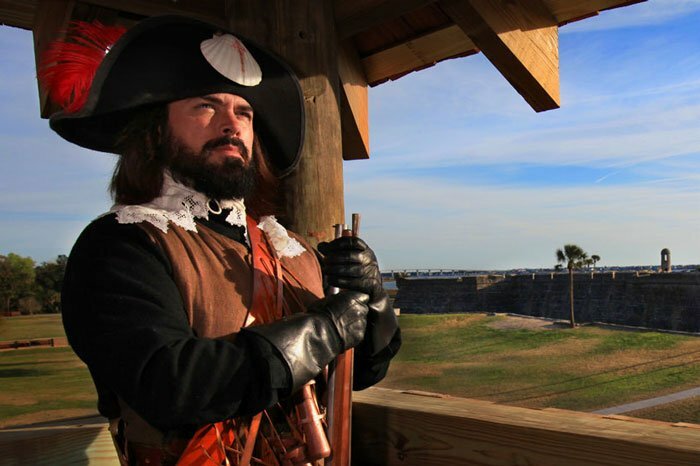 Located on 2.5 acres in downtown St. Augustine, the Castillo de San Marcos fort was occupied by the Spanish, as well as by the British at different times in history, and today is a fun attraction to visit. The Castillo de San Marcos was constructed by the Spanish in the late 1600s to protect the city's citizens and army if the area came under attack from one of the neighboring colonies. The construction process lasted 23 years with the fort being completed in 1695. The fort was constructed using coquina stones quarried from nearby Anastasia Island. Coquina stones are little shells that have bonded together over time and formed a hard stone, similar to limestone. When you visit the Castillo de San Marcos you will enjoy learning a great deal about St. Augustine's rich history and culture. Our beautiful bed and breakfast in St. Augustine is the perfect vacation accommodation for your next trip. Visit the living history museum in St. Augustine and see what life was like for the Spanish soldiers and their families in the village of St. Augustine in the 18th century. When you stay with us at the Penny Farthing Inn, our beautiful St. Augustine FL Bed and Breakfast, you will be close to the Colonial Spanish Quarter in historic St. Augustine and nearby to the other exciting St. Augustine attractions. You can view blacksmiths, carpenters, the village seamstress, leather workers and other crafters as they go about their daily lives in their homes and jobs. Vacationers can see what family life was like for the early inhabitants of the city and watch the actors as they cook, garden and tend to their livestock. The Spanish Quarter is a must stop for anyone on their St. Augustine vacation. Looking for adventure? fun? An unique experience? LOOK NO FURTHER! 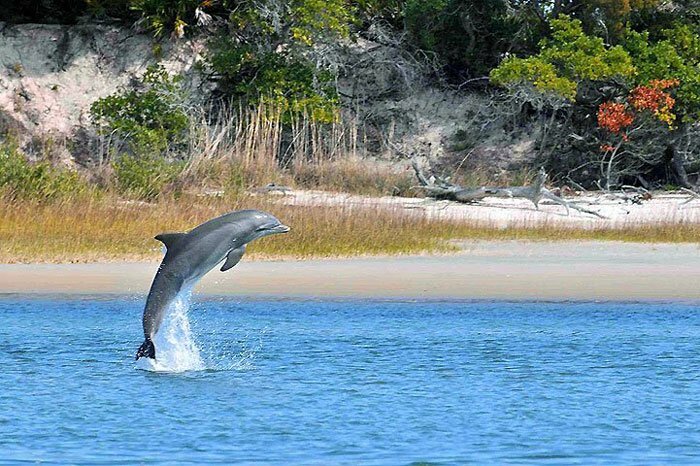 The crew of St. Augustine Eco Tours has spent the past 7 years perfecting their boating, kayaking, and sailing tours and they’re sure this will be the experience your group talks about for years to come. If you only see St. Augustine from land, you're missing out. Flagler Auditorium is Flagler County's premier performing arts center and was created by a public bond issued twenty years ago. This 1000 seat venue is available for professional performances, community performances and activities, and for Flagler County School needs. 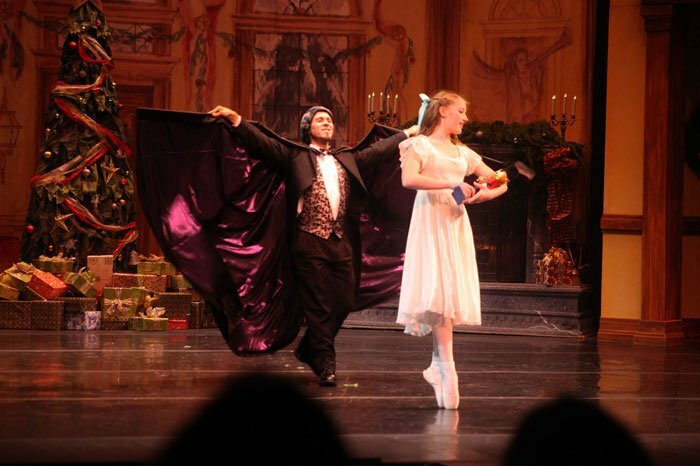 The Auditorium offers a large variety of entertainment: nationally touring Broadway, cultural programs, big bands, symphonies, family theater, and celebrity entertainment. The Gamble Rogers Festival is a folk music festival that takes place in May of each year in St. Augustine FL. Named for the legendary singer/songwriter Gamble Rogers from Winter Park FL, Gamble-fest is a 3 day celebration featuring folk artists from all over the nation. Rogers lived in St. Augustine and became a famous folk artist with his songs and stories about Oklawaha County. 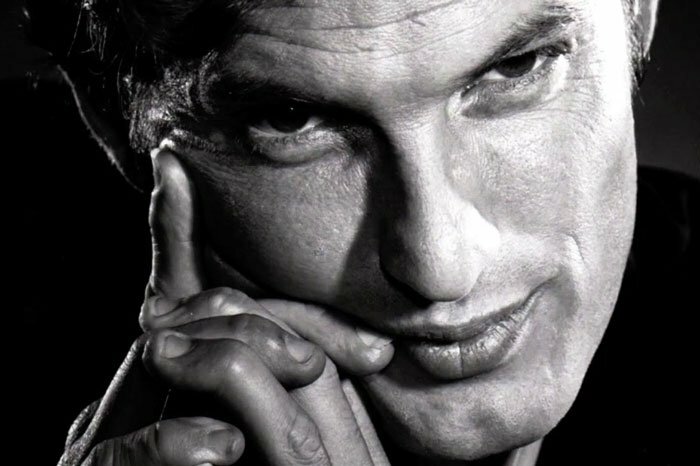 He died tragically in 1991 while trying to save a drowning tourist off the waters of Flagler Beach. The Gamble Rogers Festival is dedicated to ensuring the memory, music, and stories of Gamble Rogers remain an important part of Florida folk music tradition. The St. Augustine lighthouse was erected between the years of 1871 and 1874, and was the first lighthouse built in Florida. 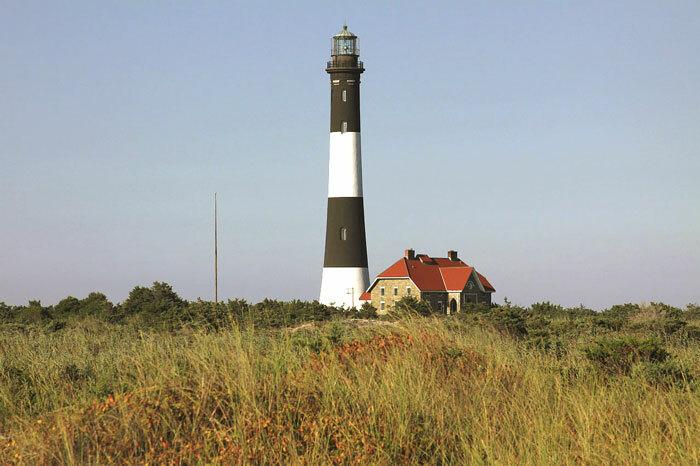 Located on the northern end of Anastasia Island, the historic location of the first original lighthouse had to be moved due to shoreline erosion. The first lighthouse was located approximately 500 yards northeast of the current location, however it fell into the sea in 1880. The St. Augustine lighthouse was, and still is a working lighthouse that aids in navigation and serves the area. The lighthouse is owned by the non-profit organization, The St. Augustine Lighthouse & Museum, and they oversee the light station. In the years prior to 1955, when the lighthouse was automated, the St. Augustine lighthouse had to keep three lighthouse keepers at a time. During the 19th century, the keepers lived in the two-story keeper house that was adjacent to the lighthouse. Today, the keeper's home is now home to the museum. 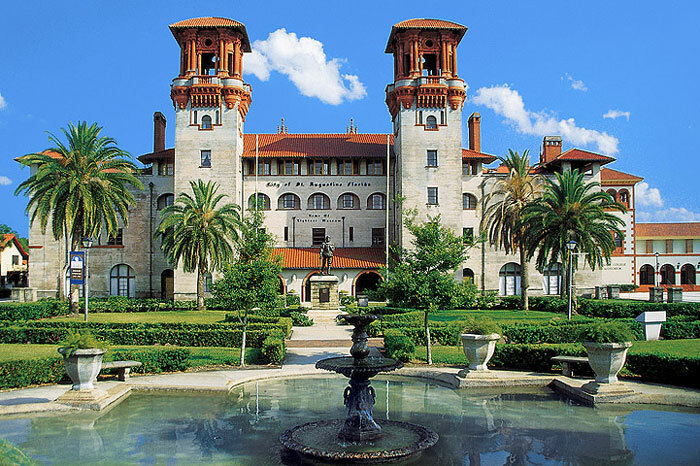 In 1887, railroad magnate Henry M. Flagler built the Alcazar Hotel and the Ponce de Leon Hotel during a time when St. Augustine was experiencing a boom in industry and was fast becoming a resort location for wealthy northerners. After many years of business as a hotel, the Alcazar Hotel closed. Later, Chicago publisher, Otto C. Lightner bought the building and housed his collections of Victorian art pieces for a few years and eventually opened the Lightner Museum. Flagler built the Alcazar in the Spanish Renaissance design, and in recent years the lobby of the Lightner Museum has been restored to resemble the way it looked during its days as the elegant Alcazar Hotel. Located in downtown historic St. Augustine, the Lightner Museum is home to many gilded age works of art. Costumes, furnishings, mechanical musical instruments and other artifacts exhibited at the museum will give you a look into what life was like for those living in the 19th century. Old Saint Augustine Village is one of the most historic regions of the city and is a great place to take a tour to learn more about the city's history. The village is a collection of nine homes and buildings spanning from the period of 1790 to 1910. Within the homes are five exhibit galleries and many courtyards and beautiful gardens. If you and your loved ones are exploring St. Augustine's history while on your St. Augustine Florida vacation, then you'll want to stop by. Visitors to the Old St. Augustine Village can view a 1572 town plan of St. Augustine and look at the official archaeological record of a sixteenth-century hospital and cemetery, an eighteenth-century Spanish Colonial defense line and an early St. Augustine bridge. While visiting the village you can go through the Star General Store and browse books and information on Florida and St. Augustine's history. In the first half of the 20th century, Robert Ripley was a well-known traveler and his cartoons entertained many and typically featured tales that were too unbelievable to be true. After his death Ripley's cartoon “Believe It or Not!” continued and still intrigues many as the magazine has led to a television program and today there are over 29 “Ripley's Believe It or Not!” museums around the world. St. Augustine is home to one such Ripley's museum. 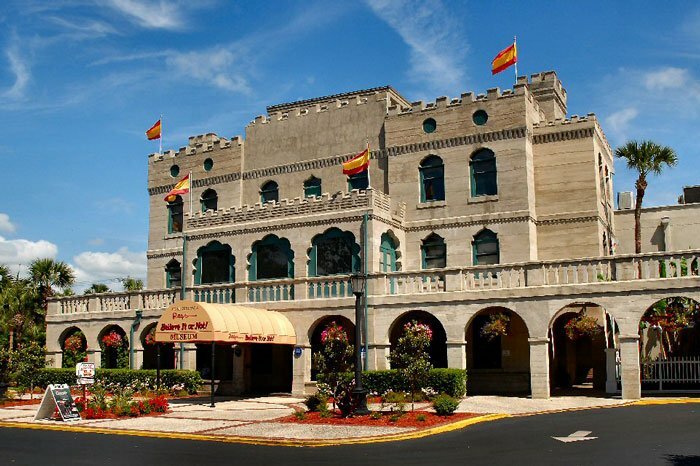 At the St. Augustine “Ripley's Believe It or Not!” visitors can witness mystical treasures, wild international oddities and various exotic art forms. The museum is located in the Castle Warden, a Moorish Revival style home built in 1887. Prior to being the home of St. Augustine's “Ripley's Believe It or Not!” the Castle Warden served as William Warden's winter home. 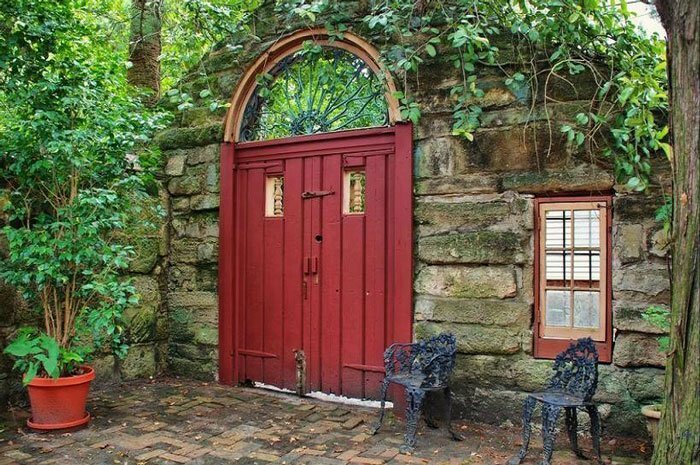 After his death, it was owned by Norton Baskin and his wife, Pulitzer prize-winning novelist, Marjorie Kinnan Rawlings and they operated the Castle Warden as a hotel. Freedom is an authentic replica of a nineteenth century blockade-runner. She is a double-masted, gaff-rigged, topsail schooner. 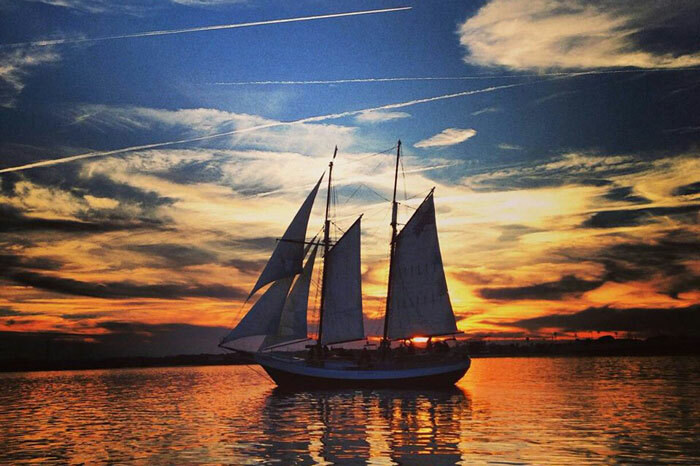 Naval architect Merritt Walters and his marine construction company, Rover Marine, Inc., designed and built Freedom, the first of his many Rover schooners, in 1982 in Norfolk, Virginia. The Schooner Freedom is built of steel with aluminum masts and spars. The Freedom’s sparred length is 76 feet while her length on deck is 64 feet. Freedom’s beam is a 15 feet 4 inches and her draft is a little less than 6 feet. Her mast height is 62 feet and she carries a total sail area of 2400 feet. Freedom was built with stringent attention paid to water depth and bridge height along the Intracoastal Waterway, making her the perfect vessel for both inland and offshore sailing. The Freedom was the first sailing tour boat to be certified under the Coast Guard sub-chapter 'T' to carry passengers to hire since the great days of sail. 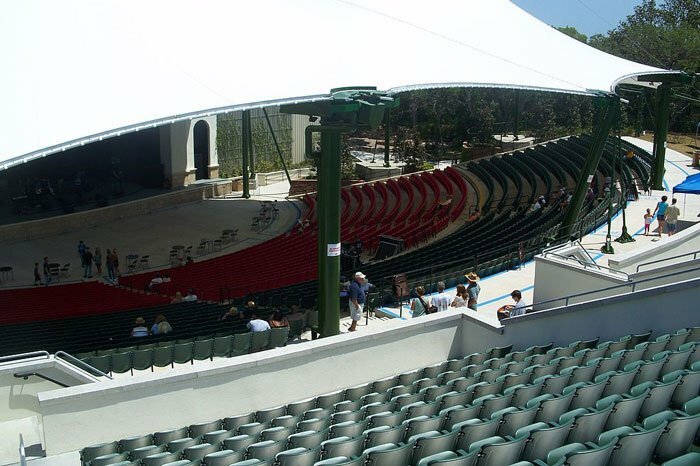 Music & cultural events venue for the St. Augustine Amphitheatre; A premiere outdoor venue w/world class entertainers such as Kings of Leon, STP, Zac Brown Band, Alan Jackson, Alice in Chains, Darius Rucker, Paramore & more! The Old Jail is another place of interest many like to visit while in St. Augustine. 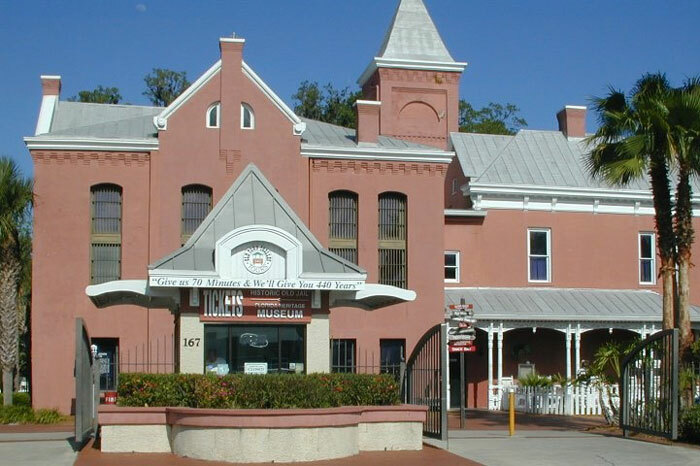 Built by Henry Flagler in 1891 the Old Jail was the county jail for St. John's County until 1953, and today it is a historical and educational museum that many walk through each year. One of the few surviving 19th century jails the Old Jail was placed on the National Register of Historic Places in 1987. When you tour the Old Jail you'll get to see the sheriff's quarters, where he and his family lived adjacent to the 72 prisoners in the cells nearby. In addition to getting to view the "regular" cells, visitors can also take a walk through the maximum security cell where high risk inmates were confined, a cell housing prisoners condemned to death, and the stark solitary confinement cell that contained no windows or mattress. This walk through exhibit also features guns, weapons and a few courtyard displays as well. The World Golf Hall of Fame welcomes thousands of visitors each year and features interesting exhibits on the game of golfs history, heritage, major players, organizations, techniques, golf course design, and equipment. 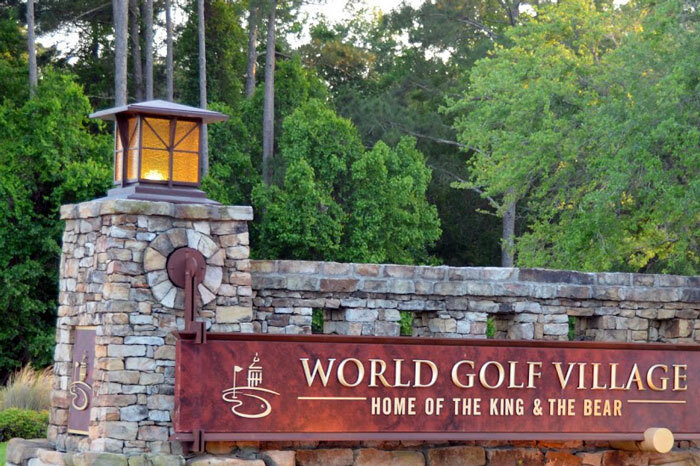 The Hall of Fame is supported and maintained by 26 golf organizations represented from all over the world and is a must stop for any avid golfer. Members are inducted in the World Golf Hall of Fame each year and are inducted into one of five categories: PGA Tour/Champions Tour, LPGA Tour, International, Lifetime Achievement and Veterans. Stop by the World Golf Hall of Fame while you are on your St. Augustine vacation. Our beautiful St. Augustine Bed and Breakfast is located right near most of the great courses to play in the area and very close to the World Golf Hall of Fame.